The articles of the Memoirs are supplied as PDFs. Please click on their titles to download. To view PDFs you require the free Adobe Acrobat Reader*. 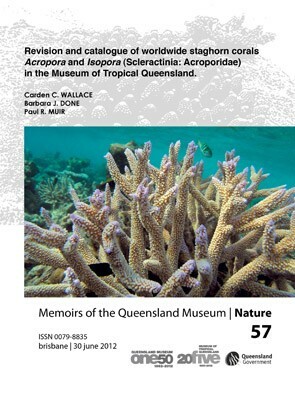 * The content found by using this link is not created, controlled or approved by the Queensland Museum. No responsibility is taken for the consequences of viewing content on this site. Wallace, C.C., Done, B.J. & Muir, P.R. This paper is split in 15 parts.